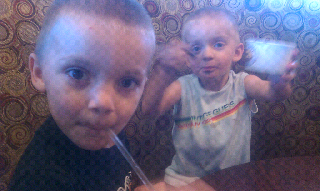 Took the boys to enjoy some ice cream tonight. The best part is that we were able to use a Juice in the City voucher to get a great deal. Don't pass up the deals I post. You're going to want to take advantage of them when the crew is bored and stir crazy this summer.